What was expected to be a hard winter fishing trip to France turned into a rod bending affair for carper Bianca Venema whe she slipped the net under no less than eight fish…. 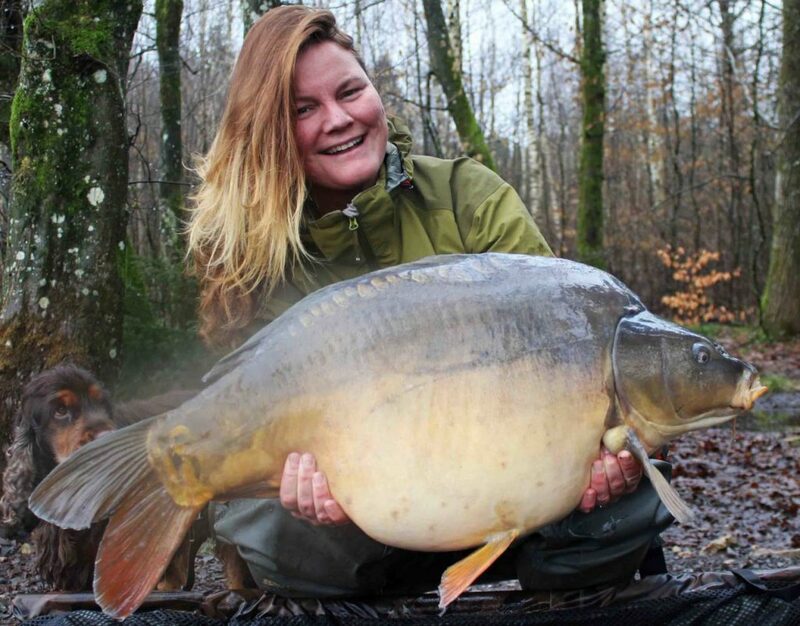 Fishing with her partner Lizette, the Dutch duo headed to the 22-acre Michele’s Lake in Hattigny, Moselle, a great option for those looking for where to go carp fishing in France. The pair armed themselves with some Pineapple & Banana Fluro pop-ups and a few jars of Frenzied maize, mixed particles, Swim Stim Red Krill pellets and some 14mm Marine Halibut pellets as a change hookbait. After setting up, Bianca flavoured her spod mix with our CSL and Krill Liquid Carp Foods and fished a 10mm pop-up on a Withy Pool rig over the top netting fish to 18.6kg including another at 17.3kg pictured below, during the three day trip.